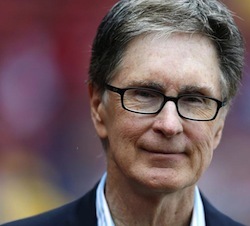 As recounted here last August, John Henry, owner of the Boston Red Sox, bought another great Boston institution, the Boston Globe, for just $70 million. That’s $1.13 billion less than the New York Times paid for it 20 years ago. The Times retained the paper’s $110 million in pension liabilities, so you could say the price was negative $40 million. So grim are the economics of newspapering in the 21st Century, lots of industry watchers thought Henry was nuts. Late last month, he took to the paper’s editorial page to explain what motivated him. May his words offer inspiration to those struggling to maintain smaller papers like the Halifax Chronicle-Herald, enterprises equally important to their communities. The whole piece is worth a read. Thanks to Doug MacKay, who edited the late, lamented Halifax Daily News at the peak of its glory, for pointing it out.